How true this seems. 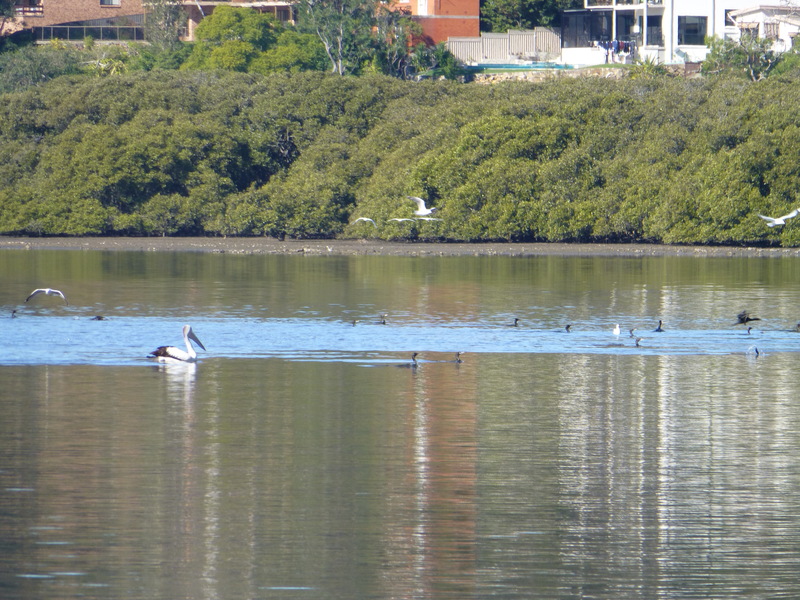 Here we have a Plover and a Seagull, backing away from each other on the shores of Sydney’s Georges River. Sorry, but to see this photo you’ll have to go to another of my blogs. Autumn may be knocking on Sydney’s door, but weather-wise, Summer is still in full swing. Right now the sun is shining brightly, the humidity is high, and the air is warm. 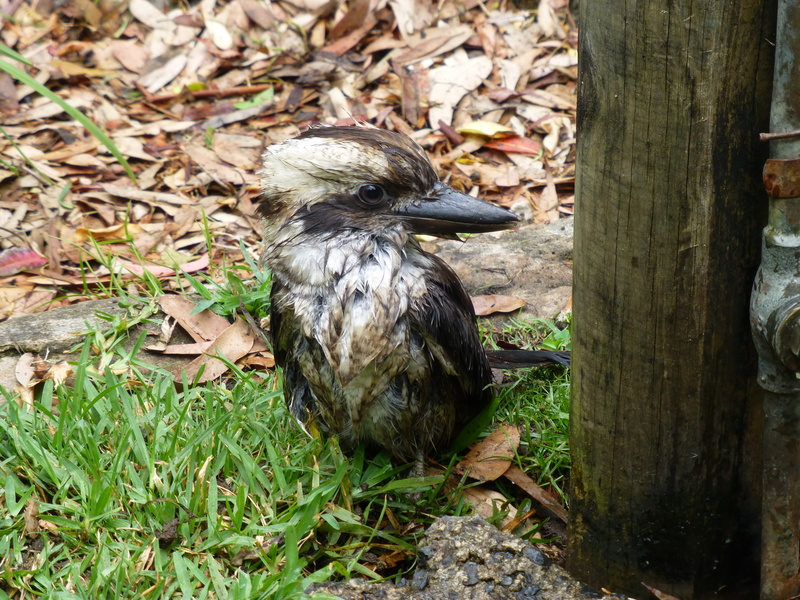 What better time then for this wise Kookaburra to indulge in a refreshing bath? He seems to be making the most of it! 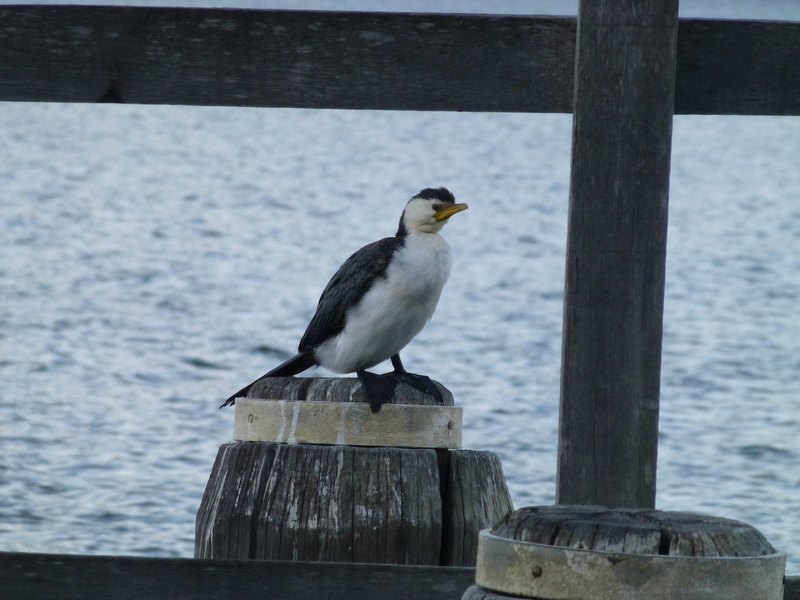 Although officially these birds are classified as common, I don’t see them very often. 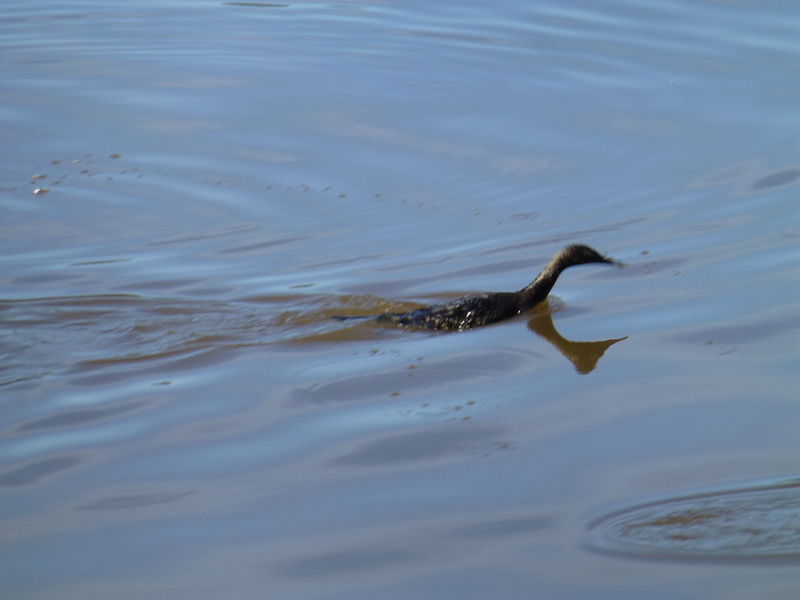 Now and then, though, I spot one in the local park or occasionally in our own backyard. Grey Butcherbirds somewhat resemble our Laughing Kookaburras, but the Butcherbirds are significantly smaller. 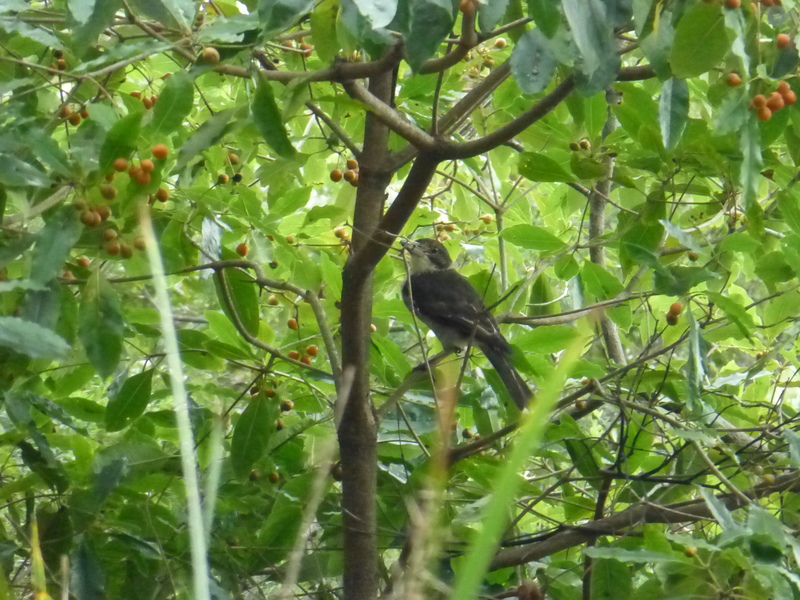 In this photo, the Butcherbird is surrounded by much greenery. It’s perched in a large Pittosporum , heavy with orange fruit. 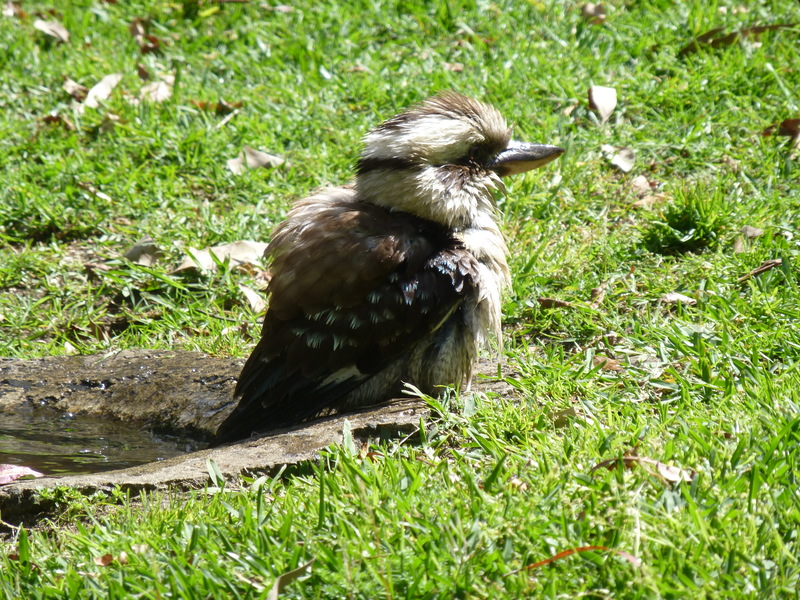 Laughing Kookaburras are common yet wonderful sight in our local park. Their unique calls and distinctive appearance seal their popularity. Here is a photograph of one, cooling gown in the heat. I hope you like this picture of an iconic Australian bird.